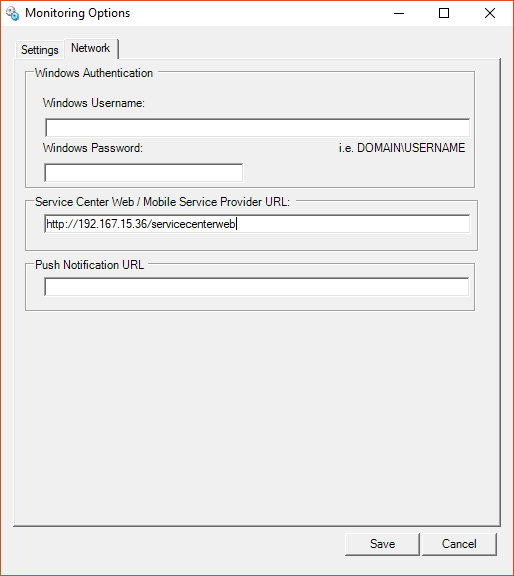 Queue Notifier must monitor the same Push Notification URL (PNU) as the web browser. If these do not match, Queue Notifier will not receive messages when a customer has been checked-in or out. Log into the Employee Portal with an administrator account. Go to Tools, System Options. On the Settings tab, check if the Notification URL field is empty. If it is not, copy the address. In Queue Notifier, right-click and choose Options. Paste the URL from step 3 into the Push Notification URL field. If step 3 contained no data, then the field should also be blank in Queue Notifier.